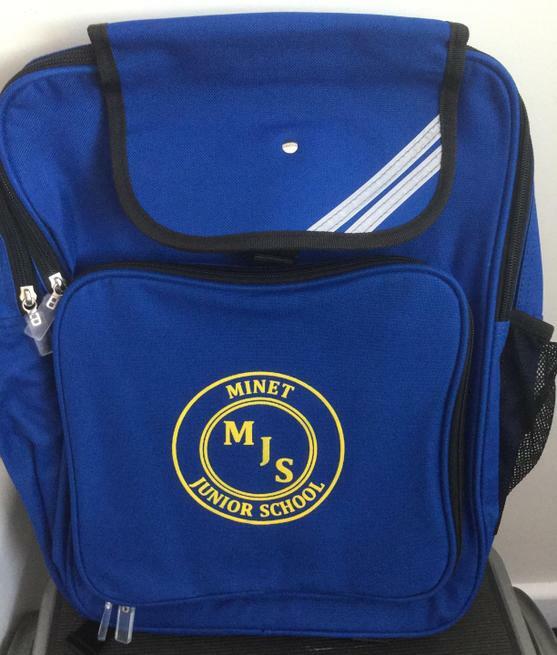 I am pleased to inform you that we are introducing a new Minet Junior School Rucksack. We are very, very proud of all of the children in our school and are delighted to inform you that each child on roll this term will receive a new bag free of charge as a gesture of good will from the School on Friday 16th December. Please ensure that your child has their name on their bag. Please note the current children will only receive one bag free of charge. Any bags lost or damaged which need replacing will be chargeable. All new children entering the school from January 2017 will be expected to purchase a bag. We very much look forward to seeing the children carrying their bags with pride.